Kids keeping you up all night? It happens. Maybe they’ve had a big day visiting family; their schedule’s out of whack and their sleeping patterns are, too. Or maybe that ghost story they heard at school is sending their imagination into dark places and they can’t calm down. Or maybe…and in today’s society, more likely…their inability to sleep is down to screens. TVs, tablets and smartphones might be part and parcel of your child’s life. 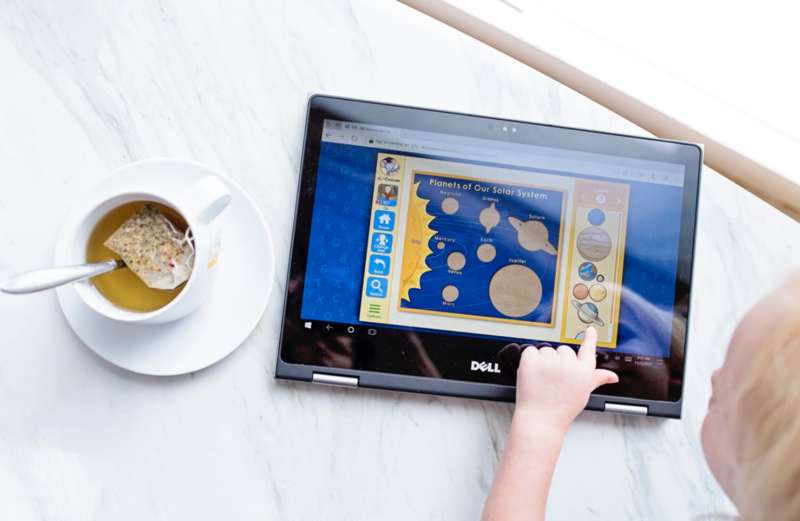 Nowadays, children only a few years old can swipe screens with staggering ability – some are plenty more adept at it than adults! But aside from the education and creativity that certain apps can foster (and the breaks they give us parents!) there are plenty of downsides to all these screens. Sure, there’s fitness apps and games that have them dancing, playing tennis and so on. There’s apps that lock them out of treats or from getting to the next level until they’ve completed their quota of exercise. But the danger is that this is still a lot of time dedicated to screens. Wouldn’t it be better if your kids simply played football, or hide-and-seek, or superheros, outside after school instead? Of course, it’s a hard habit to break. They’re used to coming home and getting some video games in, or even as tots, being handed an iPad to watch cartoons on while Mummy enjoys her coffee date. And that’s ok…once in a while. But over a long period of time, their health pays the price of this screen time. They become less active, more prone to illnesses and can find it hard to fit into social situations as they get older. So make sure your children are getting a little exercise and fresh air every day. Put up with the tantrums for a while and soon they’ll realise how much this time outside actually benefits them! Sleep deprivation is a major, and all too common, problem in modern society. We’ve come to accept it as normal to be under-slept, over-stressed and constantly rushing from place to place. Few of us nowadays know the importance of relaxation and few of us seek help in this area when we so badly need it. But getting enough sleep, on a regular basis, is one of the easiest (and cheapest!) ways in which we can boost our health. Staying well-rested makes us healthier and happier, plus more productive, creative and thoughtful human beings. On the other hand, being sleep-deprived makes us irritable and lethargic zombies, who are always on the brink of a) biting someone’s head off or b) falling asleep. Doesn’t sound like Parent of the Year, does it? And really, is that the best example to be setting for kids?? Your kids need their sleep even more than you do. Make sure they get enough of it, and the results will speak for themselves. But where do screens come into this?! Well, now that you know how important sleep is, you’d do anything to help your kids get enough of it, right? Good. Now what if I told you that screens actually prevent sleep? Basically, the blue light they give off increases alertness, over-stimulates the mind and messes with our circadian rhythms. What’s more, these screens actually block the production of serotonin (the “happy hormone”), which causes us to feel calm, relaxed and sleepy…i.e. the perfect prelude to sleep. Uh-oh. So by using these screens before bedtime, your kids can become too stimulated and wound-up; even if it doesn’t physically show. Then, when they’re expected to sleep, they simply can’t settle and you all have a restless night as a result. It isn’t their fault. And it may not be yours, not consciously anyway. The screens, however, are another story. Let’s blame them. Don’t get me wrong. I know we need to move with the times and that advancements in technology have opened up some incredibly exciting opportunities for children and adults alike; particularly in areas like e-learning. But that doesn’t mean we have to spend most of our waking hours glued to our screens, does it?! Hopefully not. Because the more fixated we are on screens during the day and into the evening, the more our sleep will suffer. I propose some balance in terms of on-screen/off-screen time. By all means, allow your kids to play whatever games you’ve approved and to mess around with these devices for a little bit every day if that’s what you choose. But make sure that they’re getting exercise and outdoors time in, too. And try to shut off all screens at least an hour before bedtime, to allow the effects of that blue light to wear off. Ideally, you should reduce screen time as much as possible to help your kids get a better sleep. That might not be realistic immediately, and you may need to wean them off…but give it time, and they’ll start sleeping more soundly as a result.